Naked Wines is an online farmer's market for independent wineries in the UK. Wine drinkers benefit from discount prices to purchase their favorite merlots, pinots and chardonnays and get advice on which wines are worth tasting. Love wine? Then get naked with Naked Wines. Naked Wines has adopted the naked theme for their website, because they claim to have stripped away the costs that come with purchasing wines from supermarkets, liquor stores and their competitors wine selling websites. They claim that the majority of the costs that make wines so expensive relate to packaging, bottling and marketing of the wines' brand. Naked Wines selects winemakers and wineries simply because their wines taste good, and don't look at marketing budgets, fancy bottling processes or expensive packaging. The also allow wine drinkers to connect directly with the wineries and winemakers, rendering them naked with open communication. Naked Wines selects wines that are inexpensive and taste good. In order to ensure the wines featured on their website check both of these boxes, Naked Wines employs volunteer wine tasters. When they're considering taking on a new wine, Naked Wines sends samples out to their wine tasters who can vote whether or not they like the wine. Naked Wines bottles of fine wine are affordable with many available under 10 GBP per wine bottle. 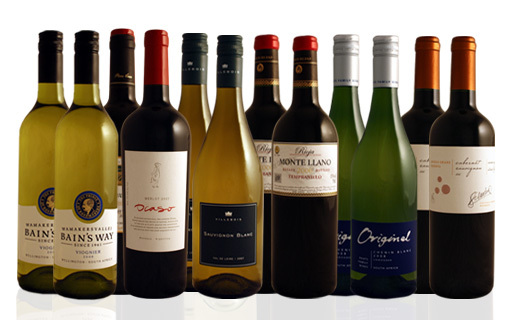 Wine lovers can also buy wines by the case; either a variety of wines from each winery, multiple bottles of their favorite wine, or mixed cases of Naked Wines' most popular bottles of wine. Since you can't taste the wines before purchase, as you would at a typical winery; Naked Wines puts candid user reviews on their website which includes ratings out of 5 stars, and comments to shape their expectations. Naked Wines also has a recommendation tool, where wine drinkers can answer a variety of questions about the wines they normally drink and Naked Wines suggests featured wines from their wineries that will be suited to their tastes. To encourage even great savings on your favorite bottles of wine, Naked Wines also has wine auctions. A minimum price is set and wine drinkers can bid away to get the best price on wines from the wineries they love. Naked Wines is a trendsetter for the industry of winemaking and wineries, and there's no doubting we'll see others following in their footsteps. However, competitors in the online winery community will have big shoes to fill, especially since Naked Wines bases their marketing concept on using one of Google's most popular keywords, "naked". Who doesn't like to get naked with a great glass of wine? While Naked Wine might not take this literally, naked wine tasting is out there; but we'll save that for another day.